As the official premium merchandise supplier of Major League Baseball, Top 40 distributor BDA (asi/137616) has created countless promotional campaigns and ballpark giveaways over the years. 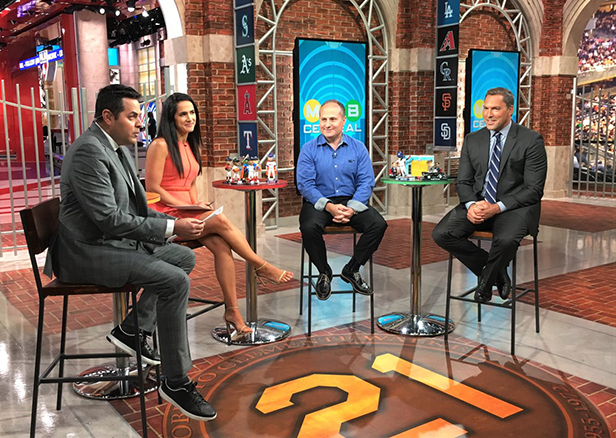 BDA CEO Jay Deutsch appeared on the MLB Network last week to discuss the next step in the partnership: A bobblehead giveaway of MLB Central hosts Robert Flores, Lauren Shehadi and 16-year MLB veteran Mark DeRosa. "It was so much fun," Deutsch told Counselor. "The hosts were so gracious. Like any athlete that gets their bobblehead, they were pumped. Off camera they were like, 'Can I get a few?'" 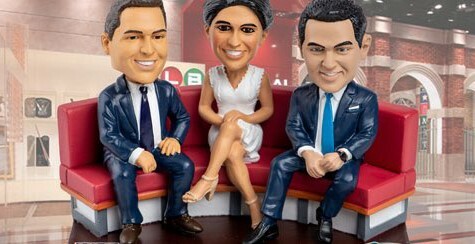 The bobbleheads will be given away to the first 2,000 fans in attendance at the Brooklyn Cyclones game on Wednesday, August 15th, where Flores, Shehadi and DeRosa will be on hand to throw out the ceremonial first pitch. Leading up to the bobblehead giveaway, MLB Central is featuring videos of the design, sculpting, molding and painting process managed by BDA. Jamie Mair, DVP of marketing at BDA, said there was a lot of internal excitement about Deutsch going on TV. "A number of people were able to watch it live, and we sent the link out to our whole company, which is over 700 people," Mair said. "It's exciting for our associates to see our CEO so comfortable in that environment." After all, Deutsch said, "when you talk about something you love like merch, it comes pretty easy." Original story published in Promogram.